Garden-fresh herbs impart flavor and fragrance that dried, packaged products simply can't. Now, anyone with access to a few square yards of soil (or even a sunny patio or windowsill) can enjoy the punch and pungency that only come from fresh herbs, hand-picked from the garden. Herb Gardening from the Ground Up demonstrates how to design, seed, and nurture 38 culinary herb gardens that are delightful to the eye as well the palate. Designed to supply herbs for a wide range of flavors as well as a pleasing balance of colors, there are gardens to suit every taste and cooking trend, including a French chef's repertoire, an Italian trattoria's menu, the aromatic seasonings of Asia, the closer-to-home flavors of American barbecue, and the piquant profiles for a Tex-Mex feast. There are herbs for flavoring fish and game, soups and salads, bread and other baked goods, and, for the mixologists among us, even herbs for the home cocktail bar. 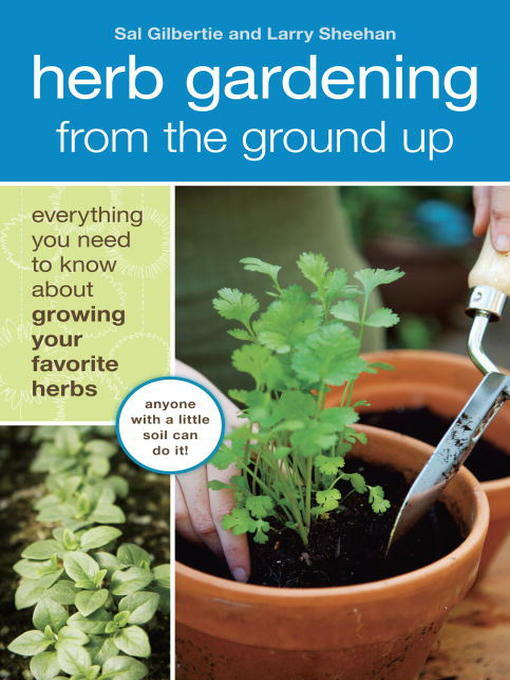 Herb Gardening from the Ground Up offers historical insight, provides starting-from-scratch, season-to-season basics for planting in the present, and looks forward to the bright future of urban and suburban growing trends.